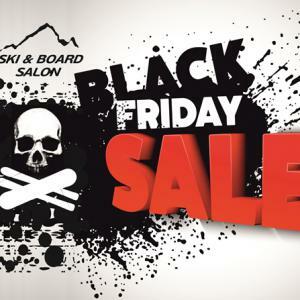 Новости индустрии → admin → XXIV Moscow Ski&Board Salon invites travel companies to take part in “Skiing Black Friday”! The organizing committee of Moscow Ski&Board Salon invites travel companies to take part in the special expo project called “Skiing Black Friday” that will take place within the upcoming edition of Moscow Ski&Board Salon, October 20-22, 2017, Gostiny Dvor, Moscow, Russia. - The New Year and Christmas sales are beginning to gain momentum. - Usually, from a third to two thirds of tours have been sold out, about 50% on an average. - Unlike the New Year skiing vacations, the in-season sales are at the beginning stage. However, the trends of the current season are already clear. Having analyzed one’s own sales profiles and the offers by other market players, one gets the prefect opportunity to come up with special offers and showcase them to the direct client. This is exactly what we recommend doing to our market players at Moscow Ski&Board Salon. This will help to considerably boost the sales figures, and this will help the skiers to make an informed choice. In combination with the sales of sport stores, the intense PR campaign on the Internet and in the offline media covering more than 30 M viewers, and the Extreme Park that will feature a man-made mountain for a snowboard railing contest, freestyle bike show, and a rock festival, these events will attract interested audience that will become your customers. We invite all travel companies, mountain resorts, and hotels to take part in the special expo project called “Skiing Black Friday”.